When we talk about pollution, normally we're talking about the assault from urban environments. After the devastating fires in Northern California, a lot of you were asking me about the effects of the poor air quality on the skin. Although we were not in the fire zone here in San Francisco, our air quality in the bay area was rated hazardous for well over a week. (I wore a mask for the worst of it, and I still had a sore throat and a mild sinus headache for days.) Apologies for not having the time to address this with a post at the time, but I still want to do a quick post now to cover some of the impacts of pollution on the skin, and what you can do to protect yourself going forward. Irritation/Inflammation - Sensitive skin is activated, rosacea and eczema can flare. Barrier Damage - When not functioning properly, the skin does not hold onto moisture as it should resulting in dryness, irritation and slower than normal healing times. Breakouts - Combine barrier damage and inflammation with particulates in the air (small enough to get into your pores), and the stage is set for breaking out if you're acne prone. Long-Term Damage - Over time, free-radical damage breaks down healthy skin function and premature signs of aging appear (think smoker's skin). Topical Antioxidants - I wrote a whole post about how topical antioxidants can interrupt the inflammation cascade and prevent damage here. Sunscreen - Don't skip this crucial step so your skin will not be fighting additional free radical damage from UV rays. Limit Exposure - Pay attention to the air quality reports, they affect more than just your lungs. Adjust extended periods of time outside accordingly. See Your Skin Therapist - If you're still struggling and your skin seems off, a barrier-repair treatment rich in antioxidants and skin soothing ingredients can get you back on track. 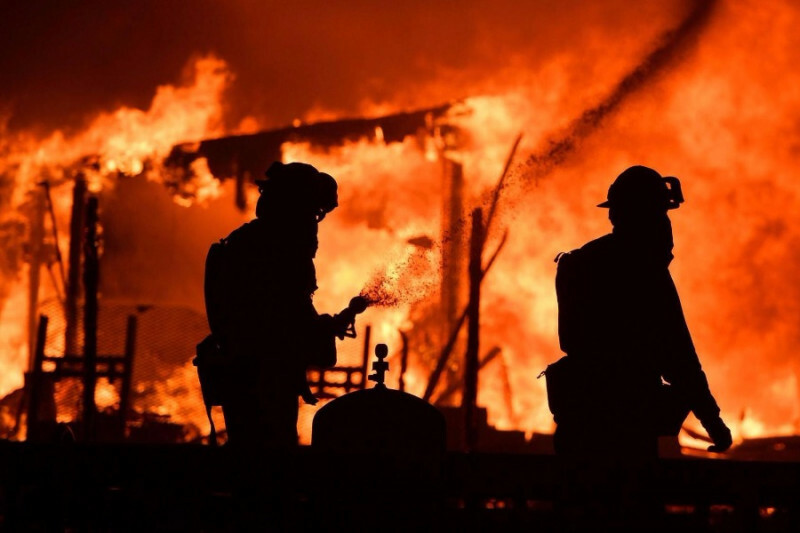 All of us in the Bay Area know someone who has been personally affected by the tragic wildfires in Northern California. The impact will continue for years to come. If you can make a donation, please do so here. If you're a local, head up north and support a community business!